If you can’t download the game directly from the App Store, you may need to also download QooApp which, once they add Fate/GO EN into their page, should allow you to update the game as the App Store will most likely also block you from updating. In the case of iOS you may need to do this https://github.com/SchoolIdolTomodachi/SchoolIdolAPI/wiki/How-to-install-Japanese-apps%3F#ios in case you can’t download it because of the region block. 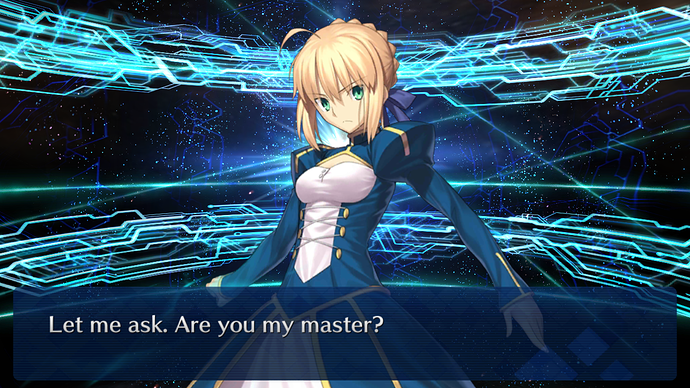 If you have any question about the game, particularly what servants to get and what not, ask away! Oh boy, hype! I’ve been waiting so long for this. If I recall correctly they’re giving away a saber lily and a free 4* pick in addition to the inital summon for players who play on launch. That’s a big bonus so for anyone who’s interested, now’s the time! I’ll edit this post with my friend code (or whatever they call it) once it’s officialy live. Thank you to everyone who participated in the Master Recruitment Campaign! Thanks to you guys, we’ve unlocked: Craft Essence “Beginning of the Journey”, 6,000 Friend Points, 10 4-star Blaze of Wisdom, 5 3-star Hero Crystal: Sun Fou and Hero Crystal: Star Fou, a whopping 42 Saint Quartz, and SABER LILY! All players will have access to these prizes until July 31st so make sure you log in early to claim them! I forgot how rerolling works in this game but if it only requires data deletion instead of reinstallation I would suggest that you reroll for an SSR since it’ll definitely help your progression easier. I haven’t played this game in a bit, but from what I remember they made the tutorial + prologue really long and tedious – and you have to complete it before you get to roll. So you have to repeat the darn thing everytime you want to reroll. I personally wouldn’t do that, though I guess it depends on just how much you want an SSR. 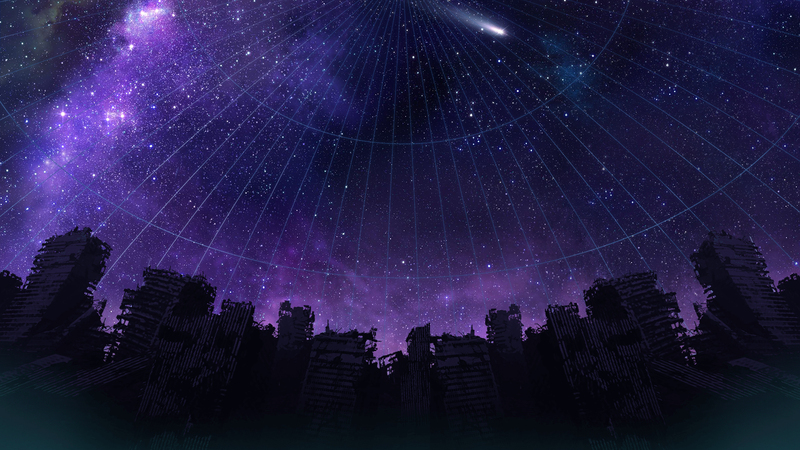 And if on top of that you want a specific SSR, well then, may God Nasu be with you. But yeah, the good thing is that you don’t really need an SSR at all to carry you through the majority of the game, or atleast these first few early stages of it, since everyone’s gonna be on the same (low) level I’ll expect that they’ll make events and stuff easier. Gonna do this because you never play games with me on your toaster PC. Guess I’ll stick to traditional chinese lol. Don’t like my five star that much, but not gonna push my luck. Cool, I tried the Japanese version when that came out but I never was really interested enough to keep going. I need to get a new phone soon so I might download this when I do. I added my friend code up top! My best pull the first summons round is Sigfried. I’m waiting until I am off of work to pull my others, though I have made my way through a lot of the first scenario. Finally out of rerolling hell! Well, rerolling for 3 times and I’ve got my Jouge Liang who is 5* and, well, 4* Martha and 4* Sumanai. 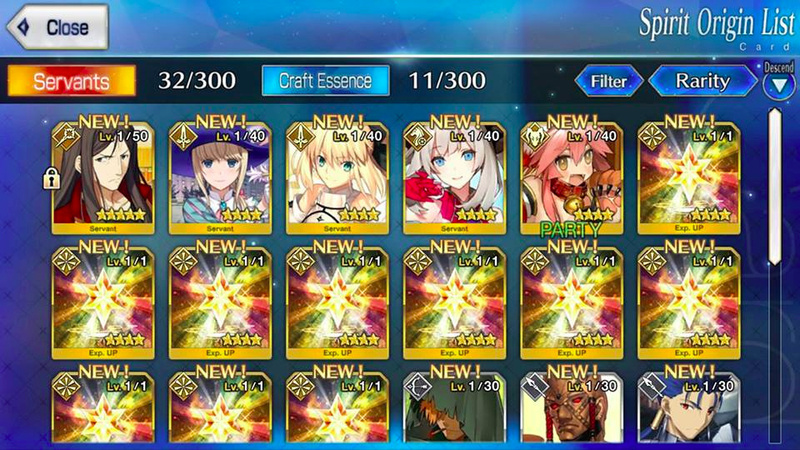 I think the best order of action here would be to just farm 3rd Ember Gathering quest for EXP then ascend/max as much as possible until you have to do story quests for materials… No point in doing story quests if your servants are weak since they rely entirely on EXP cards to level up which are mostly obtained by Chaldea/Events.